Ulrike Schaede's research project examines trade flows within Asia, in particular Japan's trade with China, South Korea and Taiwan. The supply chain connections between these countries have grown steeply over the past decade. Some analysts have pointed to these economic connections as stabilizers in the political realm, labeling the economic relations as a setting of "mutual deterrence.” This project explores these relations from a resource dependence theory perspective. 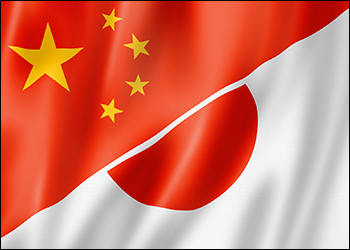 The project highlights the trade dependencies between Japan and China, and examine Japanese business activity in China. It looks at supply chain configurations across industries to determine the type of existing dependencies, as well as corporate strategies to address these dependencies, especially in Japan. First results of this research were presented at conferences in 2014 including the March 7, 2014 conference “China-Japan Relations and the Role of the U.S.,” organized by the 21st Century China Program and Fudan-UC Center on Contemporary China at UC San Diego. This project aims to address the current obstacles of remittance receipt and distribution by providing a system of direct remittance for secondary school fees. In developing countries, remittances play an important role as an informal insurance scheme for individuals and households. Individuals migrate in search of economic opportunity, and send part of their improved earnings back home. Among other things, remittances have been shown to improve access to public services, provide insurance against income shocks, and increase agricultural productivity. See the Policy Design and Evaluation Lab website for more information about this grant. 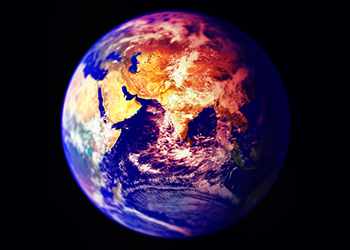 Research in the past decade has underscored the critical importance of short-lived climate pollutants (SLCPs) – black carbon, methane, ozone and hydrofluorocarbons (HFCs) - on global warming, precipitation and monsoon patterns. Mitigation of SLCPs promises substantial benefits for human health and agricultural productivity. This project will create time-resolved maps of ozone and aerosol (particulate) exposure for the continental United States, and use this to examine the impact of SLCPs initially on labor productivity in California’s Central Valley. The methodology will then be expanded to the United States (a data-rich environment) with the ultimate goal of understanding global scaling potential (particularly to areas with little to no ground-truthing possibilities). While the Internet is widely recognized as an important technology, it is difficult to study. Launched in 2014, Matthew Gibson’s project is designed to acquire unique data sets on county-level use from 1994 – 2008 for statistical analysis of the causal relationship between Internet use and local economic outcomes like income, employment and political participation. He hopes that by recovering causal estimates of Internet effects, the study will improve the understanding of how the Internet influenced economic outcomes in recent decades. Additionally, the research could shed light on the channels—worker productivity, reduced communication costs, network externalities—through which the Internet affects the economy. He notes broader impacts could include better analysis of the Broadband Initiatives Program (BIP) contained in the 2009 American Recovery and Reinvestment Act. BIP aimed to increase broadband access in under-served rural areas. While the costs of the program are straightforward, the benefits are impossible to quantify without understanding the relationship between Internet use and societal outcomes. 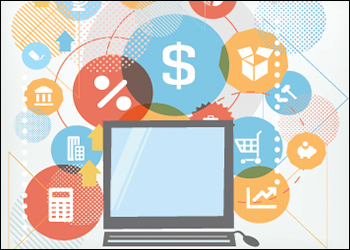 Preliminary estimates suggest the economic benefits of the Internet are large. Should those results hold in the final study, they would provide support for additional Internet programs in poor and rural areas, such as those proposed, with FCC support, in the 2013 Broadband Adoption Act, which did not become law. Many public libraries offer free Internet access and this study would also suggest the approximate magnitude of the benefits from such programs. This project uses high-resolution satellite imagery to measure local economic impacts of new business formation. Piloted in Gujarat, India, the results will provide new methods for studying the impact of rapid urbanization on socio-economic levels at a global scale. 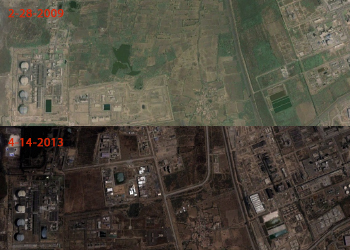 The project uses satellite images to capture visual changes in economic activity surrounding new industrial plants in the periods before and after plant construction. High-resolution satellite images allow identification of the extent and quality of roads and other transportation infrastructure, the density of buildings and type of materials used in construction, the changes in vegetation type and health, and a host of other features. This in turn will facilitate quantifying the environmental impact of vegetation change on issues such as air quality, local ecology and agricultural viability. Chinese statistical data has long been cast under suspicion. In particular, it is frequently assumed that output is over reported, as provincial officials compete for career advancement. 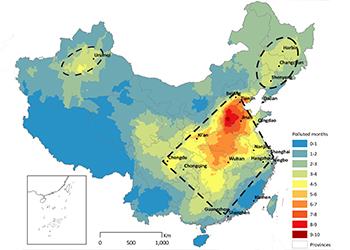 In this project, we motivate using scientific data collected by independent international satellites, including nighttime luminosity and, uniquely of our paper, nitrogen oxides, for the purpose of computing proxies for economic growth in China. We use our newly computed proxies to test the hypothesis that output was over reported by individual provinces during the recent downturn of 2008 – 2010. Results are currently being assembled. Human capital is widely viewed as playing an essential role in the creation of wealth and economic growth. Health and education lie at the core of human capital formation and are profoundly influenced by environmental quality and climate. While the impacts of adverse environmental conditions on health are reasonably well understood, the evidence on other aspects of human capital, as well as behavioral responses to mitigate these impacts, is limited. 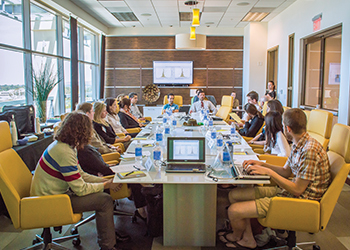 In May 2014, the UC Working Group on Climate, Environment and Human Capital held a two-day workshop sponsored by the UC Institute on Global Conflict and Cooperation with support from EmPac. Scholars from throughout the University of California system, and scholars and policy makers from Colombia, Mexico, Peru and the United States, attended. The workshop focused on Latin America in order to explore data availability and possible joint projects that could expand the knowledge base in this area and help promote evidence-based policy making to enhance social welfare in the region more generally.